In August 2013, two hit men for a local street gang in Memphis known as "Young Mob" were attempting to retaliate against individuals they believed stole narcotics from the gang. This retaliation attempt turned deadly, not for the targets, but for an innocent bystander at a carwash when the two hit men fired several rounds from a 7.62 caliber rifle. The rifle's shell casings were recovered from the crime scene by the Memphis Police Department and entered into ATF's National Integrated Ballistic Information Network (NIBIN). With NIBIN, law enforcement works to solve crimes by combining the power of traditional "on the beat" investigation with powerful ballistic imaging technology. Since the 1990s, ATF has worked with law enforcement partners across the nation to place the capabilities of the NIBIN network where it can help incarcerate armed violent offenders plaguing our communities. Today, ATF has the capability to electronically share ballistics intelligence across the United States, making law enforcement resources more effective. 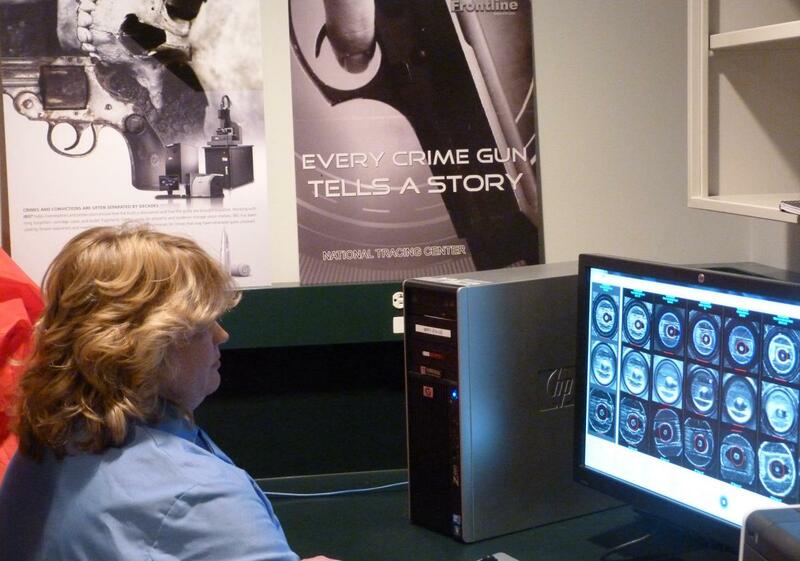 NIBIN automates ballistics evaluations and provides actionable investigative leads in a timely manner. It is the only interstate automated ballistic imaging network in operation in the United States and is available in most major cities. Prior to the NIBIN program, firearms examiners performed this process manually which was extremely labor intensive. To use NIBIN, firearms examiners or technicians enter cartridge casing evidence into the Integrated Ballistic Identification System (IBIS). These images are "correlated" against the database. Law enforcement can search against evidence from their jurisdiction, neighboring ones, and others across the country. A positive match is commonly called a "hit" or "correlation." In Memphis, ATF special agents and detectives from the local Multi-Agency Gang Unit (MGU) joined together for the joint NIBIN ballistics investigation. The MGU consists of ATF agents, detectives from the Memphis Police Department and detectives from the Shelby County Sheriff's Department. In another altercation, the same two hit men involved in the carwash shooting had also threatened a witness by firing a round from a 7.62 caliber rifle. The shell casing was recovered from that incident and entered into NIBIN. Due to the NIBIN correlation, the shell casings from both the murder scene and the attempted witness intimidation was a positive "hit." Under the direction of the United States Attorney's Office, the two defendants were indicted federally for felon in possession of firearms charges under 18 U.S.C. 922(g)(1) based on the shell casings recovered in both incidents. The duo have prior felony convictions for homicide, aggravated assault and narcotics felonies. Subsequently, the two individuals were found guilty. Brashard Gibbs was sentenced to prison for 20 years. His co-defendant Deredious Otis was sentenced to more than 16 years in prison for two counts of illegally possessing ammunition. To learn more about the investigation click here. To learn more about NIBIN click here.